Welcome to Kauai, the Big Island of Hawaii, also known as the Garden Isle, and for good reasons. With tropical rainforests, an abundance of flora and fauna, lovely beaches and water, and unique historical towns, you will be certain to enjoy your visit to this island that may have busy port towns, yet still remains mostly undeveloped. 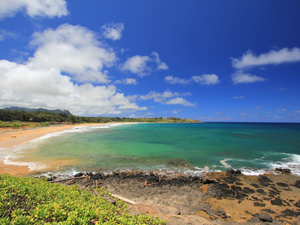 Your arrival to the port of Nawiliwili on Kauai brings you to the southeastern corner of the island. 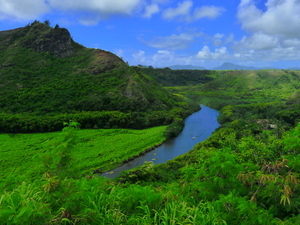 While on our Kauai Exclusive North and East Coast Sightseeing Excursion, we can offer you the chance to visit much of the dramatic landscape that you may well have seen in films and television shows such as Lost. Air-conditioned and licensed round trip transportation from your Kauai cruise pier! English speaking, local and trained Kauai shore excursion guides! River cruise on Wailua River! Photo stop at Opaekaa Falls! Luau Feast and open bar! Rhythm of Aloha Polynesian show! 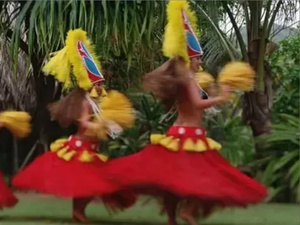 A late afternoon/evening combination that includes a cruise up the Wailua river to the Fern Grotto and a Polynesian dinner and South Pacific experience at the island's most popular luau. Air-conditioned and licensed round-trip transportation from near your Kauai cruise pier! Escape the cruise ship shore excursion crowds and enjoy unique sights of Kauai and surrounding area! Take a leisurely cruise up the Wailua River, Hawaii's only navigable river through ancient royal lands, to one of the island's most popular sites, the tropical Fern Grotto. Welcome Mai Tai, beer, wine or other drink from the open bar including non-alcoholic! No trip to Hawaii would be complete without attending a Luau! Experience the most popular Luau on Kauai, complete with traditions, Polynesian dance and music and of course, the Feast! Air-conditioned and licensed round-trip transportation from near the cruise pier! Photo stop at Waimea Town! Photo stop at Spouting Horn! 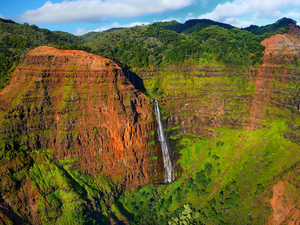 On this Kauai Excursion, you will travel to the island's rugged northwest to see the multi-coloured Waimea Canyon, the grandest in all the Pacific. Your program also includes historic towns and natural wonders. Exclusive stop at Coco Palms! Sites include falls, bays, beaches, and valleys used as settings! Included lunch at Aqua Kauai Beach Resort! See multiple movie set locations that were once used in the filming of famous movies and television shows. Enjoy this fun-filled 6-hour narration with scenic stops and film clips from the movies shot in that very location. A tasty lunch at Wahoo's Restaurant is also included. Photo stop at Hanalei Bay and Anini Beach! Photo stop at Kalhiwai Bay and Kilauea lighthouse! Photo stop at Kapaa Town and Kealia Beach! Photo stop at Opaeka'a and NaMolokama waterfalls! River cruise on Wailua River to Fern Grotto! Enjoy great sightseeing of Kauai's north and east shores that also includes a cruise on the Wailua River to the Fern Grotto. Small groups limited to 12 max per group! Round-trip transportation from your Kauai cruise pier! All fees and taxes included! 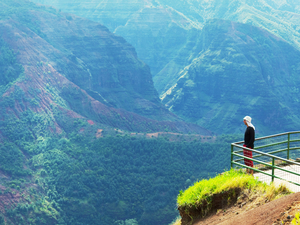 This popular all-day combo excursion will show you the very best of Kauai. 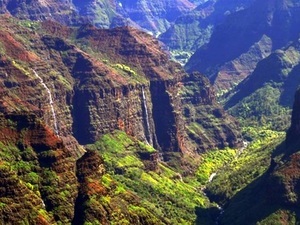 In the morning travel to the grand Waimea Canyon and south shore. After lunch at your cruise ship, spend the afternoon on a leisurely cruise up the Wailea River to the tropical Fern Grotto. Air conditioned and licensed round trip transportation from your Kauai cruise pier! Activities spread out over 2 days! 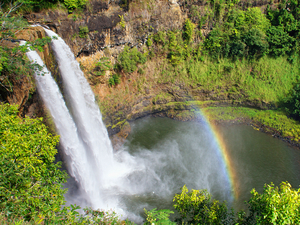 For guests on the Pride of America, this two day combo takes you to see the best of Kauai. Day 1 travel to the Grand Canyon of the Pacific, Waimea Canyon. On Day 2, you will cruise up the tropical Wailua River to the Fern Grotto.